One of the biggest challenges a disabled veteran faces when seeking service connection is how to refute an unfavorable VA medical opinion. As a veterans disability attorney I have literally reviewed thousands of VA compensation and pension exam reports over the years. 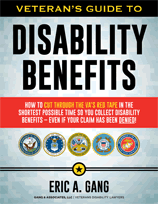 And it’s not an exaggeration to say that in many cases what stands between you and a winning VA disability benefits claim is the VA compensation and pension examiner–sometimes referred to, in the jargon of VA disability lawyers, the C&P examiner. Indeed, these C&P examiners serve as gate-keepers, protectors of the government’s interests. 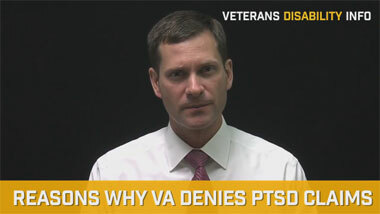 But sometimes VA’s assistance is nothing more than an attempt to manufacture medical evidence against the claim. 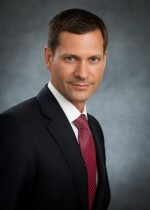 In other words, if you present a solid claim that has persuasive evidence to satisfy every element of service connection, and VA then claims its duty to assist requires further medical evaluations, then I would argue that the “duty to assist the veteran” has morphed into VA’s “duty to protect the government’s interests”. So, although the duty to assist can–and often does–assist veterans with many aspects of their claims, it can also be a potential liability in cases where you have strong private expert medical reports to support your claim. As a veterans’ disability attorney assisting veterans when VA denies claims for service-connection, knowing how to respond when VA uses its duty to assist to obtain negative medical opinions is crucial. Case 1: In a claim for reactive arthritis, the VA examiner stated that there is no nexus or relationship to service because the service treatment records or STRs do not contain any evidence of symptoms known to be associated with reactive arthritis. The VA examiner proceeded to give examples of relevant symptoms like eye problems, joint pain, or urethritis. However, upon review of the file, buried in the service treatment records are symptoms of conjunctivitis (eye problems), joint pain, and urethral discharge. All these symptoms appear to be relevant and directly contradict the VA examiner’s assumptions. So, the argument goes that the VA examiner’s ultimate conclusion cannot be trusted since it was based on factual assumptions that appear to be wrong. 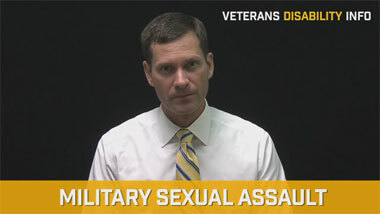 Case 2: In a back disability case the VA examiner gives the opinion that there is no connection with service. The VA examiner reasons that the veteran’s back disability complaints did not appear until after a post-service automobile accident. Therefore, the VA examiner gave the opinion that the veteran’s back disability was due to the post-service automobile accident. However, a close examination of the file indicated that there were two post-service medical records noting back pain prior to the post-service accident. This suggested the presence of back pain prior to the motor vehicle accident. Again, the evidence contradicted the factual assumptions of the VA examiner upon which he based his conclusion. In this case, an attack against the VA examiner’s report on the grounds of his report being based on an inaccurate factual premise should be successful. If VA has denied your claim for disability and you need help with your VA appeal, then I encourage you to explore how a VA disability attorney can help.